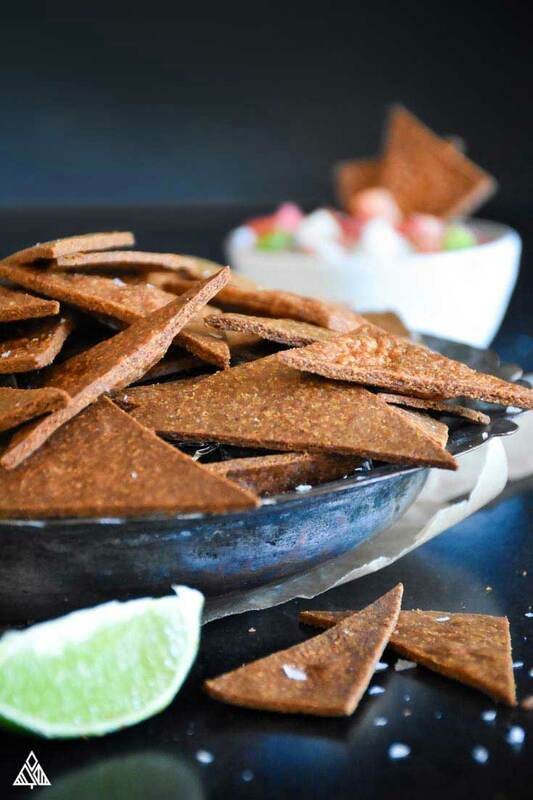 Top 14 Low Carb Chips, For All Your Crunchy Cravings! Life is SERIOUSLY better with low carb chips, because game-day, road trips, and appetizers are pretty darn boring without ‘em. 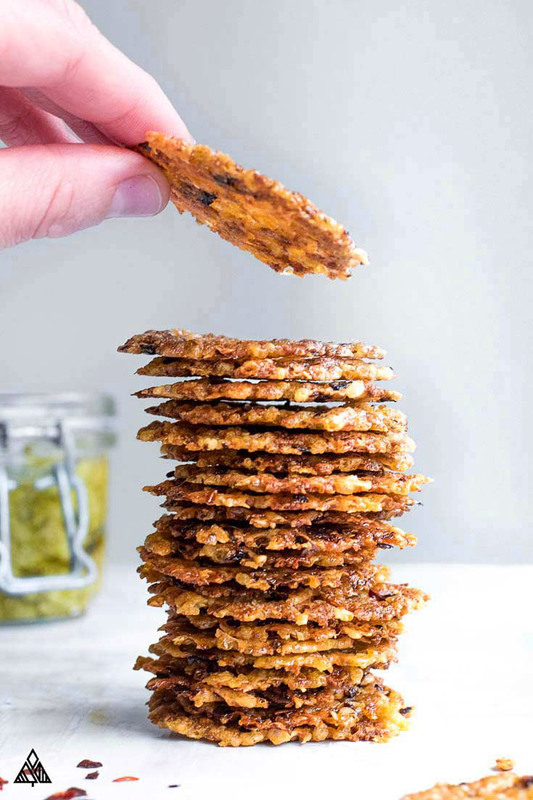 So, I tasted and recipe-tested around, until I came up with this list of the most satiating and crunchy low carb chips imaginable! 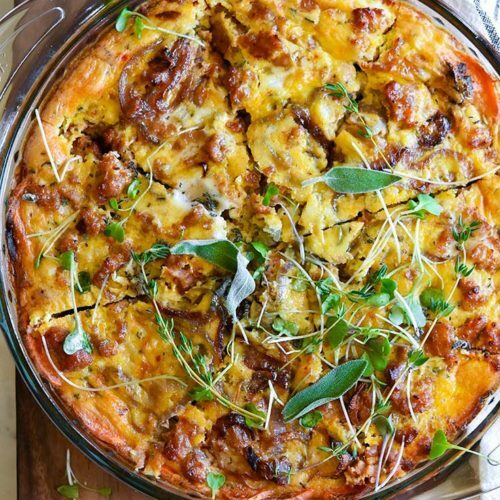 Surely there are low carb chips on this list just for you! The problem with most low carb chips and crackers is they’re not as “crispy” as the store bought versions we crave. Which is why I paid special attention to the crunch factor when creating this low carb tortilla chips recipe. Turning off the oven with the chips still inside helps to crisp your new favorite low carb chips into delicious, crunchy perfection! If you haven’t tried parmesan crisps yet, then you’re gonna love me for this one. 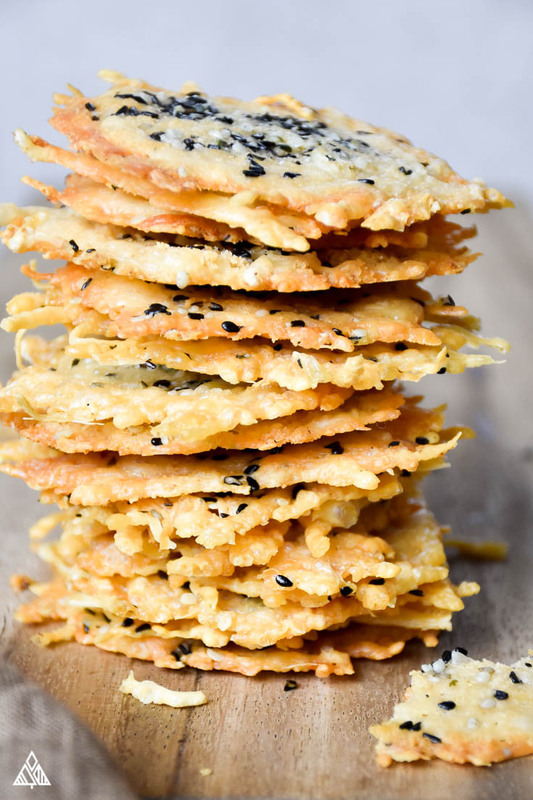 Parmesan crisps are essentially no carb tortilla chips, made of, you guessed it, parmesan! Mix in some herbs and spices to compliment whatever you’ll be serving these low carb chips with and you’ll never want another crispy treat. It’s hard to get tired of baked cheese chips, especially when they’re combined with sauteed onions and crispy bacon. Your low carb chips game just got that much more impressive. You’re welcome. Bake cheese chips into whatever shape you’d like — you can form small mounds, or cut them with a pizza cutter to create a sharp, triangular shape. Looking for crunchy low carb veggies to scoop your low carb appetizers? Unfortunately, most of the vegetables used to make veggie chips are high in carbs: sweet potatoes, beets, and parsnips are the obvious chip alternatives. 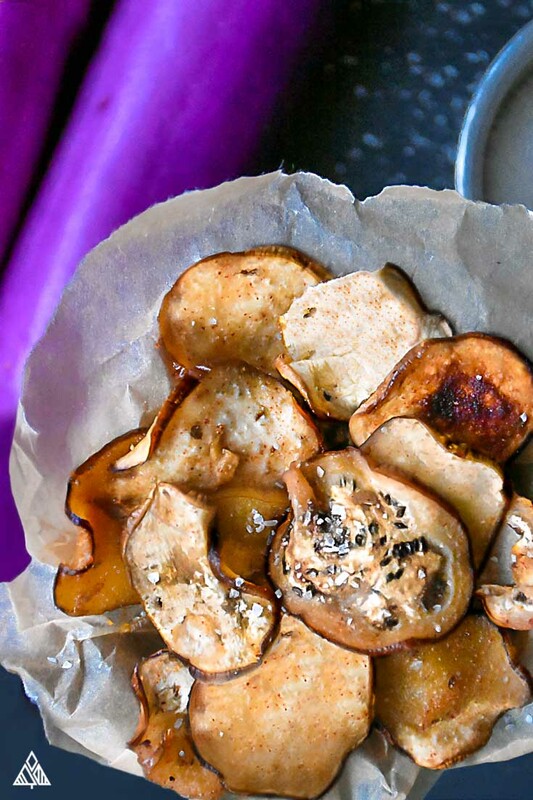 Eggplant chips are significantly lower in carbs, and every bit as craveble. Psst — these low carb chips are covered in BBQ seasoning, need I say more? 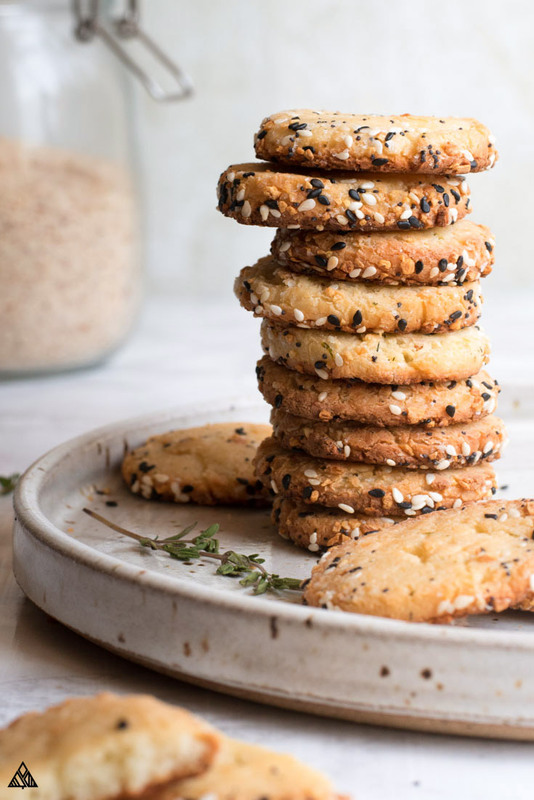 Class up your low carb chips cravings with these buttery low carb crackers. 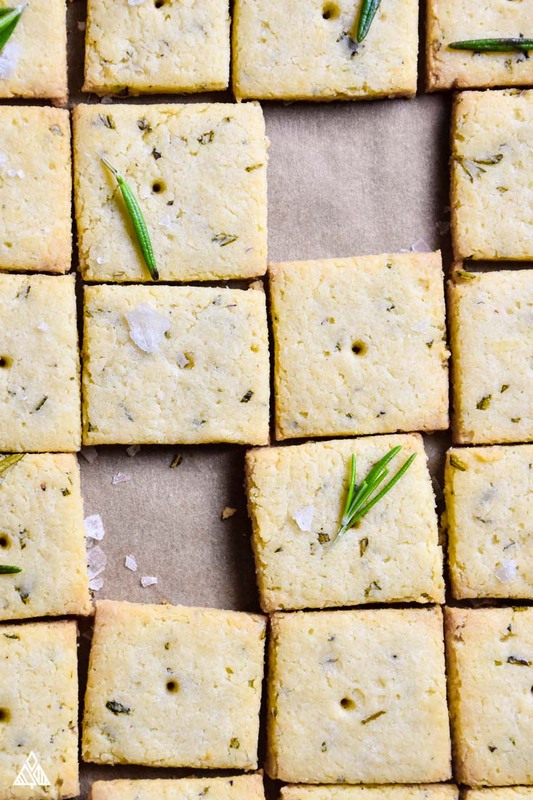 Baked with fresh herbs inside, these low carb crackers are the perfect vehicle for whatever cheese and charcuterie you’re craving. 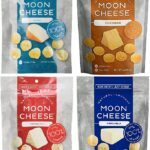 Personal bias, these fathead crackers are my favorite low carb chips on the list. Made of cream cheese, mozzarella and almond flour, coated in a crust of “everything but the bagel seasoning”. They’re slice and bake, easy to make, and ridiculously addicting. 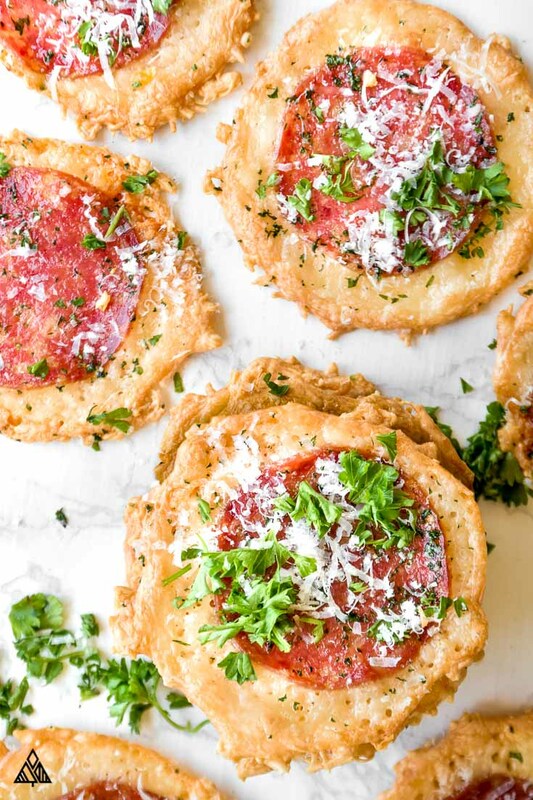 Similar to the parmesan crisps above, these no crust pizza chips have a pepperoni stashed in the center, for a portable, crunchy, pizza – low carb chips keto concoction you’ll love. Think of the tastiest low carb foods baked into low carb chips, and you’ve got these pesto parmesan chips. Pesto, parmesan and sun dried tomatoes — you don’t have to be eating low carb or keto to love ’em! Oh ya friends, you can totally make your own low carb chips from pepperoni. Just bake until crispy and dip your pepperoni chips in whatever you have on hand! Sprinkle with parmesan, and dip in low carb pizza sauce for the win. Bacon chips use the same logic as the low carb chips above. If you’re not a fan of cooking bacon in the oven, I think you’ll be pleasantly surprised at bacon’s dipp-ability once cooked into a crispy, crunchy vehicle. Psst, I’ve heard rumors of bacon chips dipped in low carb chocolate, thoughts? When you want a chip, you want a chip. And sometimes you don’t have time (or the desire) to chop ingredients and preheat the oven for keto chips. In that case, here are some delicious low carb chips to buy! Grab most of these low carb chips at Walmart! 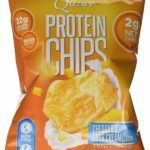 I didn’t believe it was possible, but these protein low carb chips are surprisingly good! Nice and crunchy with a variety of flavors, they get my stamp of approval! 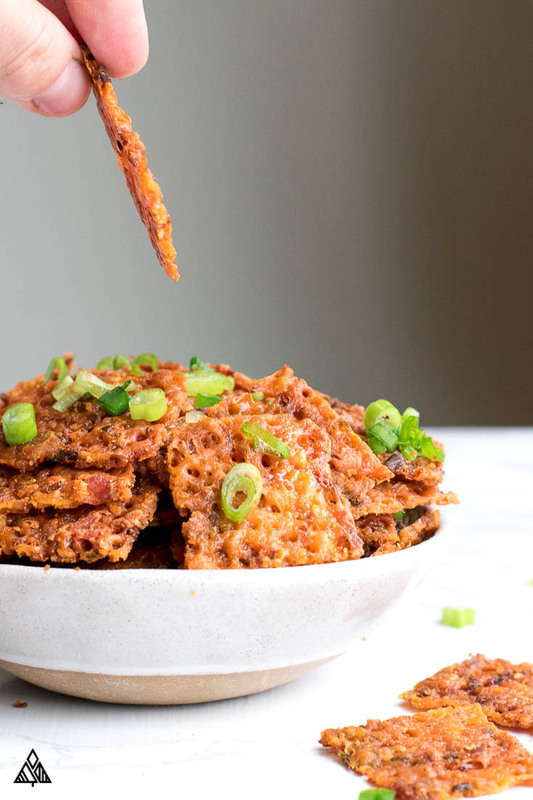 Perfect for when you’re craving cheese crisps, but don’t feel like making them. 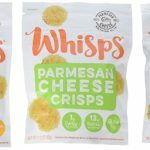 They’re slightly more expensive, but dang, they’re good.Side note, Whisps are the reason for my cheese crisp obsession. The grocery store stopped selling them, and I started making them! I don’t know how they do it, but these things are goooood. 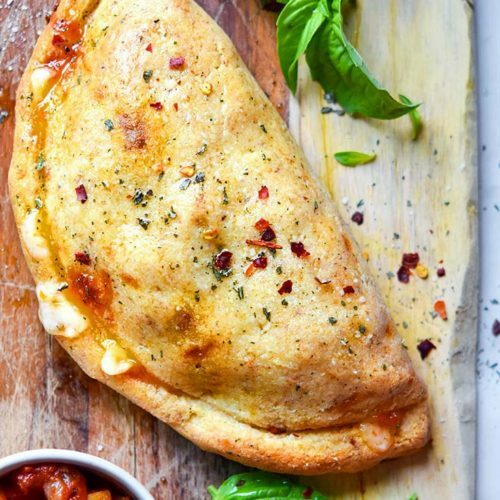 100% cheese, light, airy. If you’re a low carb hiker they’re perfect for your pack, they’ve got tons of protein and weight nothing! Pork RindsI’m not a huge pork rind-on-their-own-gal (although I use them in my low carb breadcrumbs). My opinion aside, these are the textbook low carb snacks on the go. 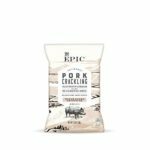 I prefer the Epic brand of pork rinds — they’re antibiotic free and are MUCH tastier. Betcha didn’t think no carb chips were possible! Well friends I have exciting news, there are virtually no carbs in cheese — making any sort of cheese chip concoction as close to no carb chips as they come! One of the best ways to satisfy a low carb chips craving is with some homemade veggie chips. 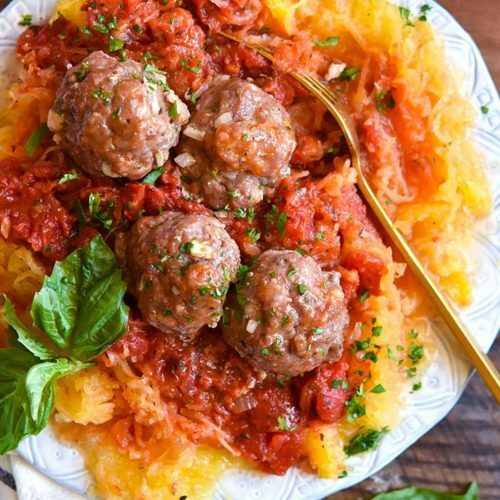 Yes, veggies are carbs — but when you stick to keto vegetables, they’re much lower in carbs and calories than traditional chips. That means skip the potatoes, sweet potatoes and other starchy veggies. In fact, potatoes fried in oil (either as chips or french fries) are on the list of foods most strongly associated with gaining weight! Psst, if your goal is low carb chips for dipping, use a julienne to cut your veggies for thin and even slices. I get it, the chip-craving-struggle is real. Luckily, there are plenty of low carb chips to swap that processed, carb-y snack with! I hope you found the low carb chips you’ve been searching for on this list, to help curb your cravings. 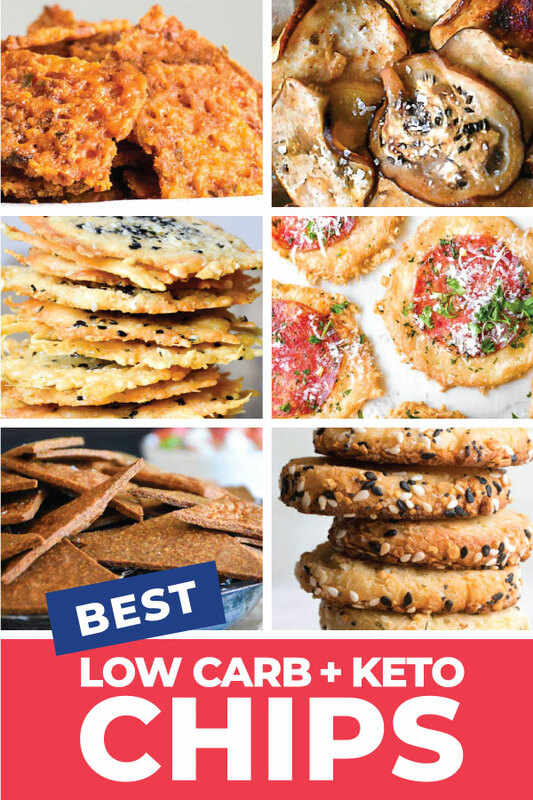 Leave me a note in the comments below if I missed your favorite low carb chips! 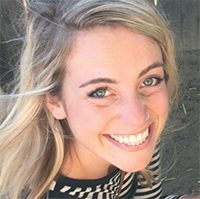 Can lentils be considered as a low carb bean. Can gram flawer be used in Keto!